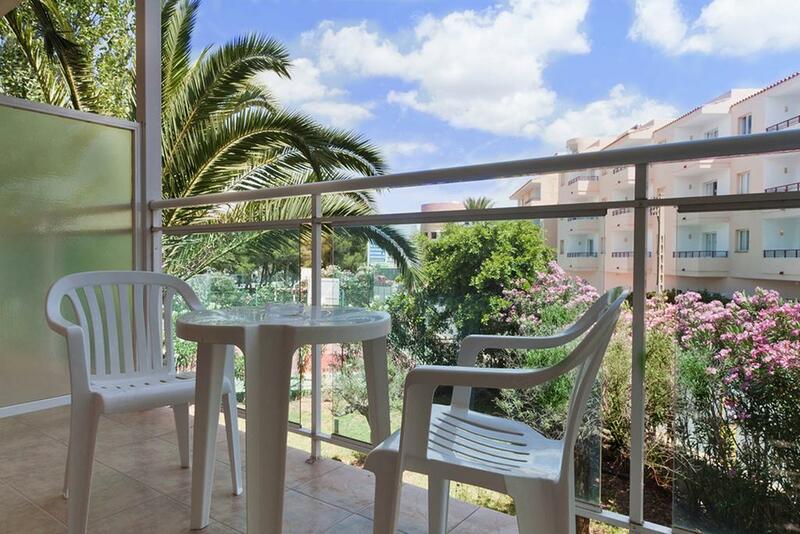 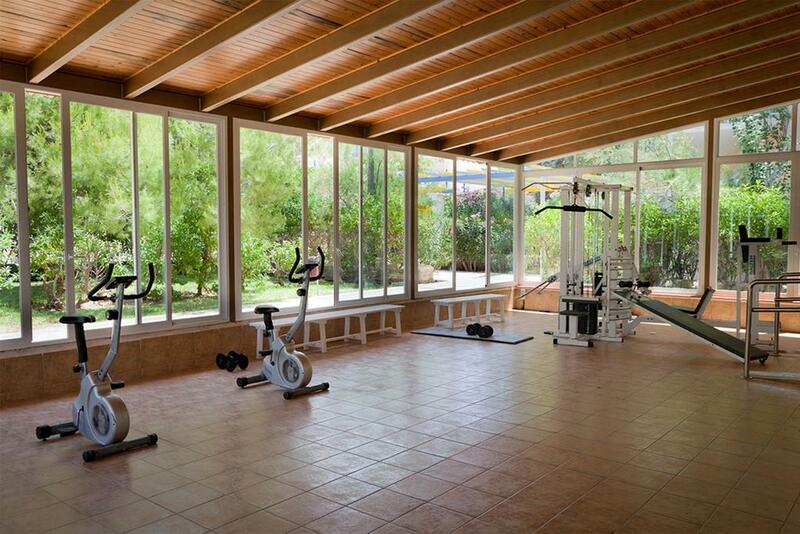 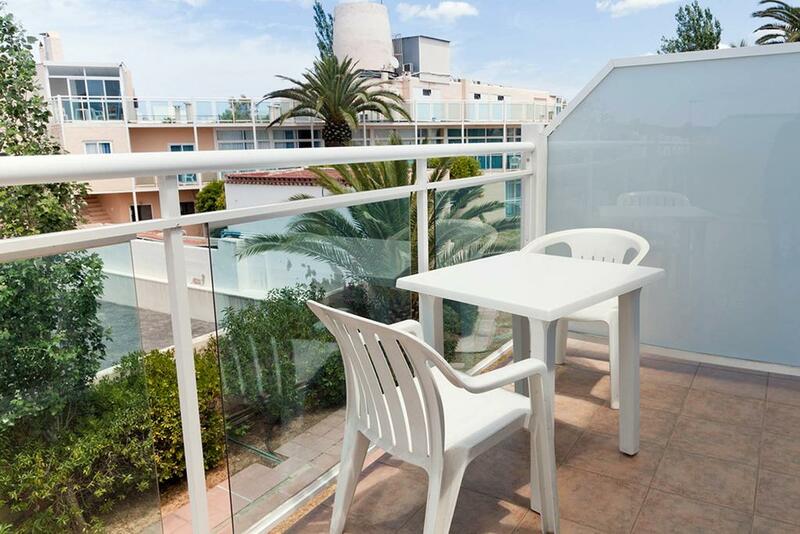 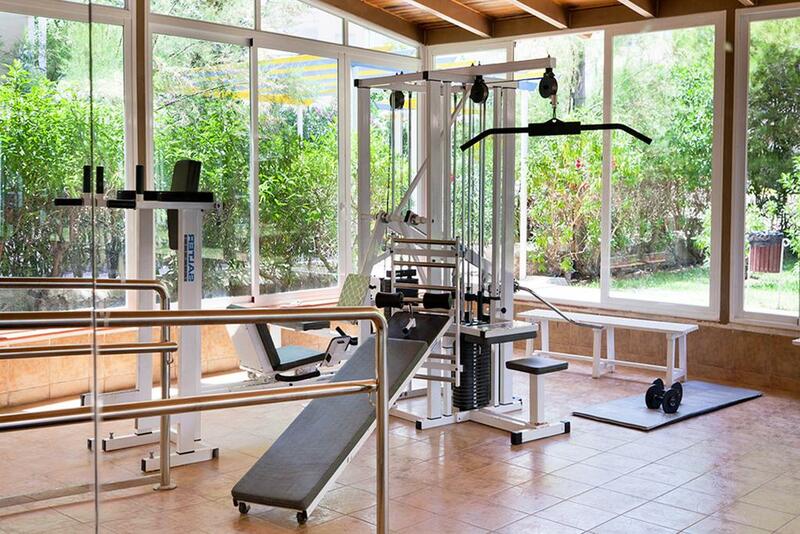 The building is situated in a quiet residential area on San Antonio Bay, only 3 Km far from the city center. 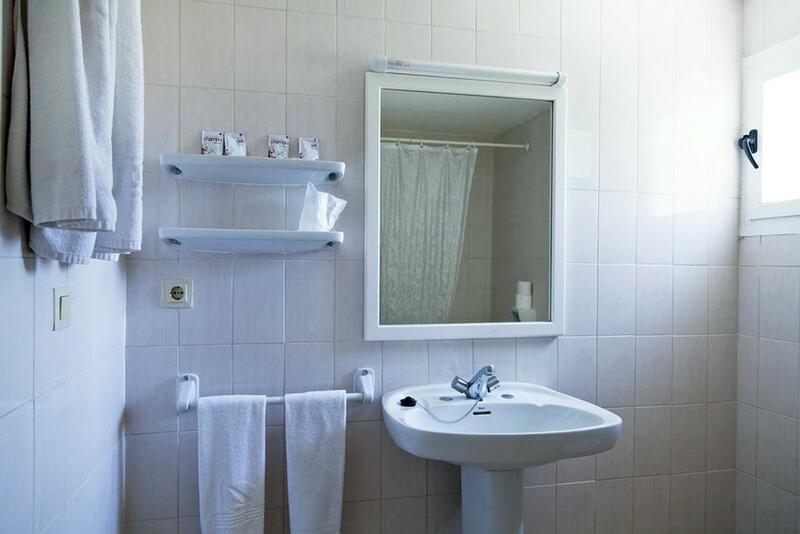 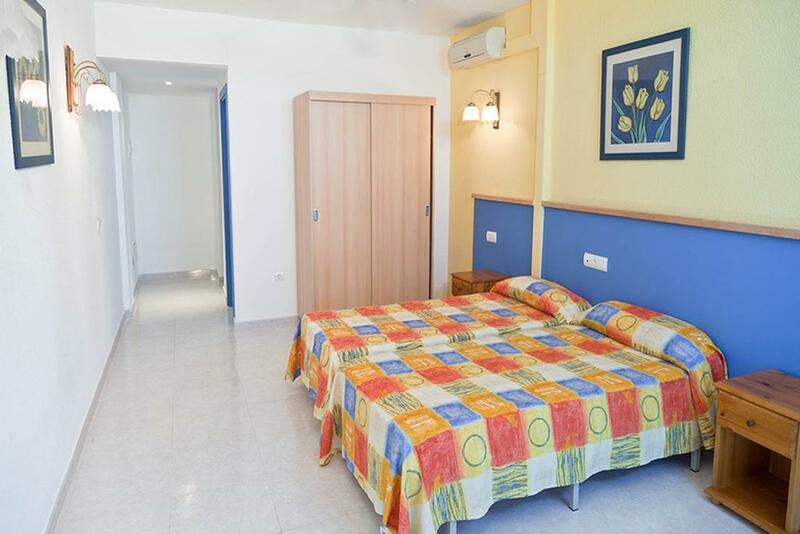 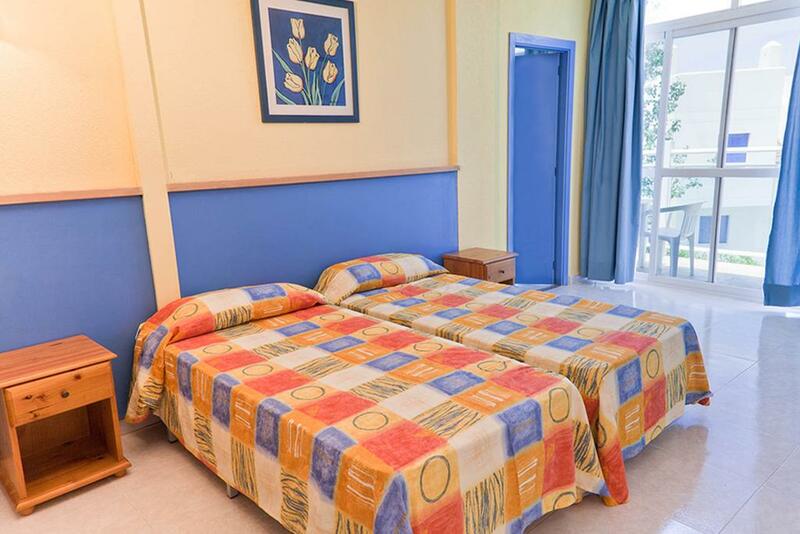 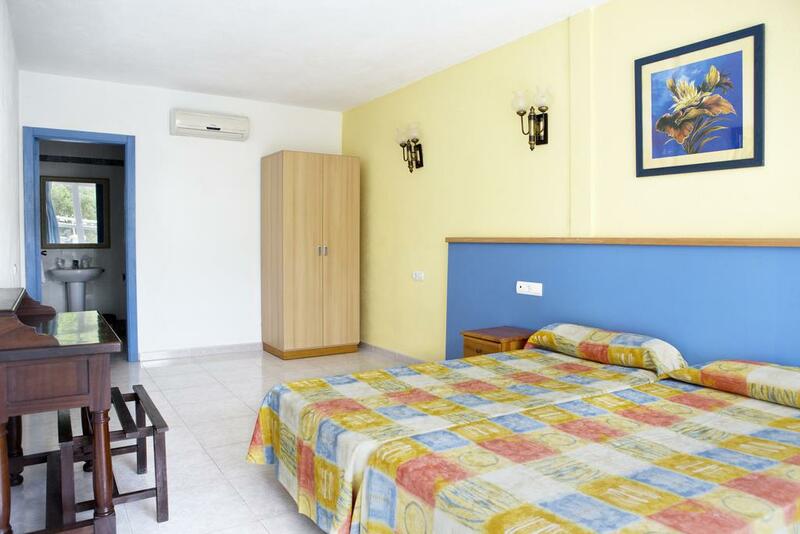 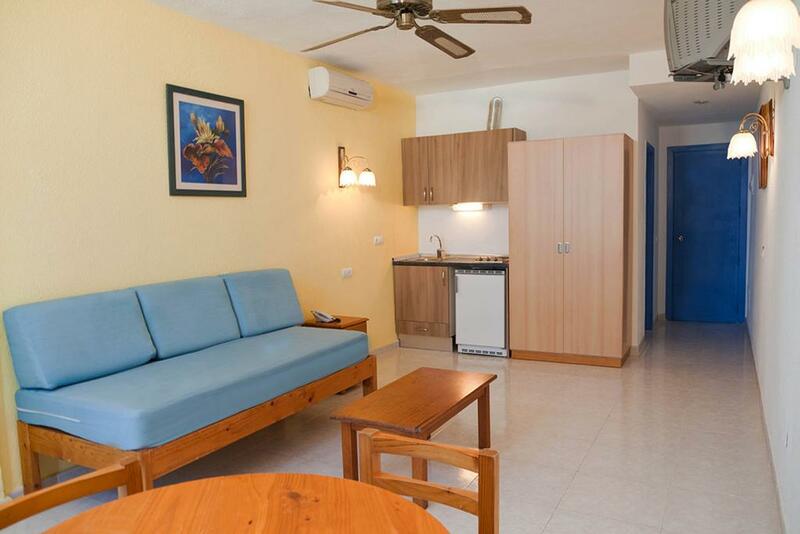 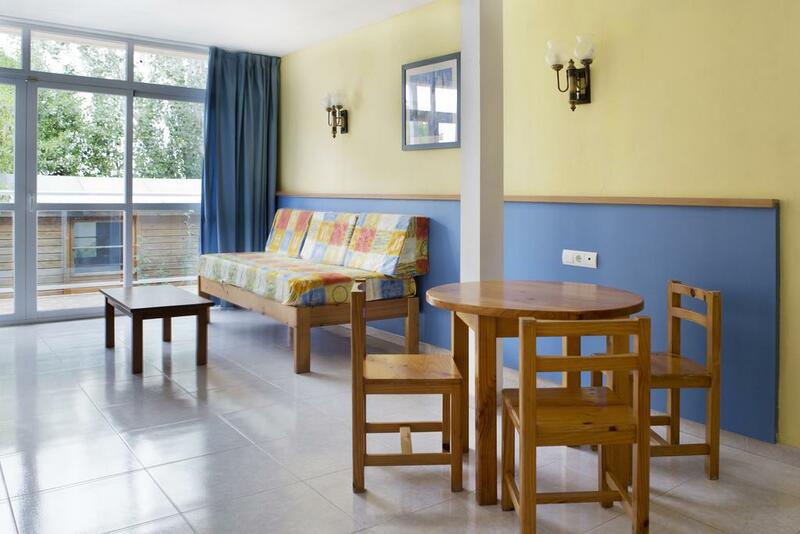 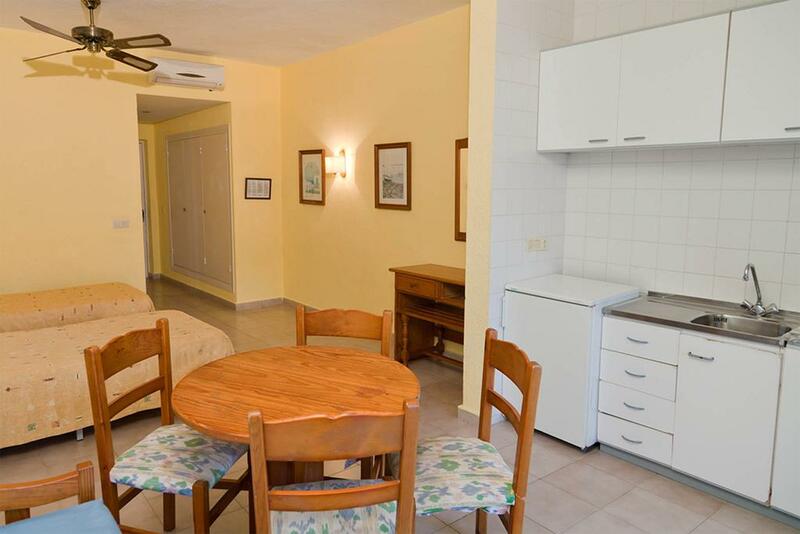 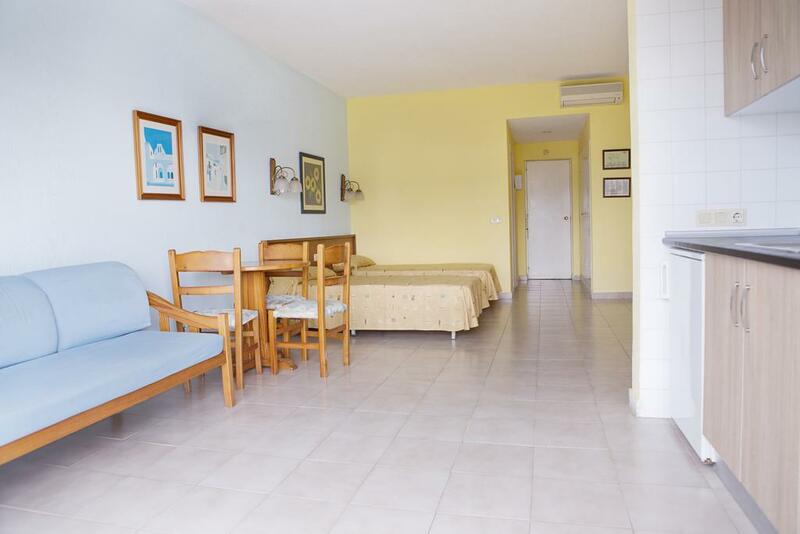 There are both studio flat and apartments with one double bedroom and sofa-bed in the salon, all of them with air conditioning, kitchenette, sat tv, bathroom and balcony. 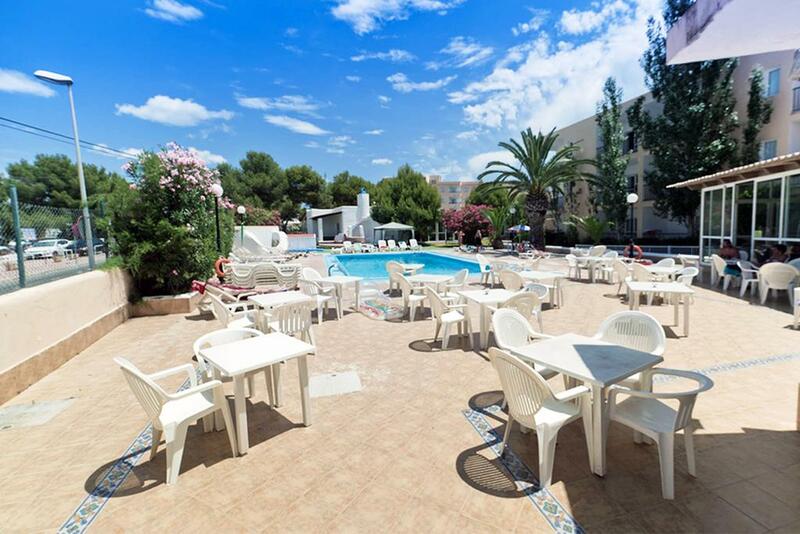 Outside there is a swimming pool with sunbeds and a playground for children. 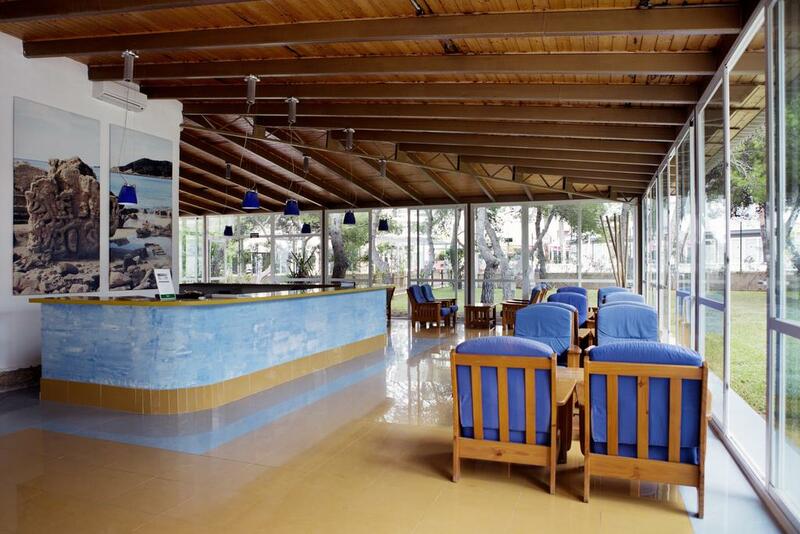 24 hours open reception to offer every kind of touristic informations to the customers.